In present era, customers have all the information's accessible at all times and at all places. The sole credit for this freedom of information goes to internet and globalization because of which most people on this globe are able to access any information with just a few clicks on laptops, mobile phones, tablets and computers. For every business owner, it is important for all business owners to understand that the image of their companies can easily be influenced, for example by using different social media platforms, as well it is entirely true a customers feedback can work miracles in building the reputation and trustworthiness of the company compared to the one given by the company on their own. But what is the importance and benefits of Digital Marketing? 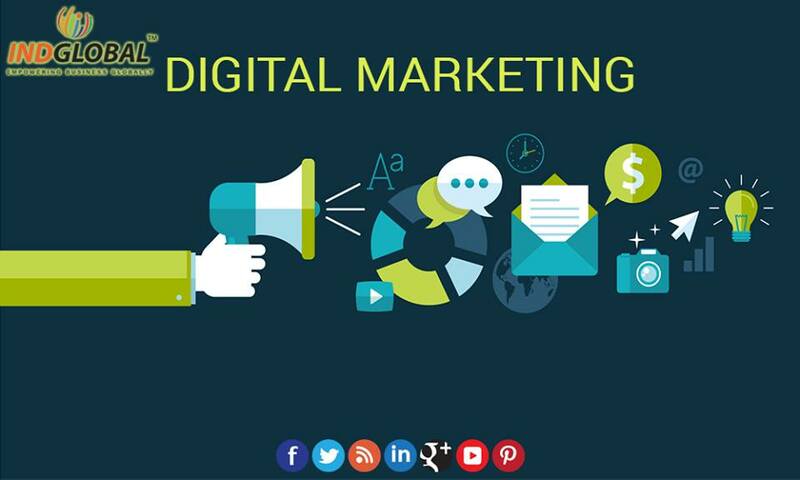 Digital Marketing is a way of promoting your business or products through electronic media and is completely different from traditional marketing. The biggest benefit of Digital Marketing is that since it uses electronic media it reaches all section of the crowd attracting the attention of all potential customers from every section of society from across the globe. Through electronic channels and by posting positive feedback's or comments regarding your company helps build loyal customers as well it helps in gaining the trust of all. Digital Marketing works in both ways. It can bring a good name and fame to your company if handled correctly but if not, then a negative feedback can easily dampen the prestige of your company. Electronic media is accessible by all, hence it is important for the business owners tohat they make customer satisfaction their main focus. An unhappy customer can bring defame to your firm. The easiest way of acquiring new clients is through electronic media, example; social media channels. But when you plan on doing so, divide your clients in different sections based on their interests. It will simplify the communication with the customers. More the likes, the better it is! Social Media, being a part of Digital Marketing has always been underestimated. But it’s a big mistake to make as the “Twitter” shares or your “Facebook” likes helps in the growth of your company as well build the trust and credibility in the audience. The added benefit associated with social media is that it brings traffic without spending a single penny. All you need to do is insert a Social Media plugin onto the site and keep updating regularly, so that your customers gets update related to your company whether be news, discounts or any random stuff. Keep a track of the frequency of updates so that it doesn’t becomes overbearing for the clients. The outcome will certainly astound you. According to a survey, every year more and more companies are adopting Digital Marketing and giving up on traditional advertising tactics. More companies are now focusing on Google Adwords, SEO, or Social Media by spending huge amount on these resources. This has become the main reason for the cut-throat competition of today’s market. Use Google Alerts tool for monitoring the competitors, so that you can always be ready for all circumstances. This tool helps in tracking the marketing strategies and products of your competitors so that you can learn your flaws and improve your strategy. If you are confused that how you will do these things on your own then dump your worries down the drain as we at IndGlobal has brought a complete solution to your problems. From SEO to adverts, the Digital Marketing team at IndGlobal will handle all your troubles so that you can relish the fruit of success with shedding a sweat.